I’m really excited about this DIY. I’ve been in the mood to sew some new jeans but since I have so many other projects going on right now, sewing a whole pair of jeans and doing fitting and all that will have to wait. Instead I went to the thrift store (which is a big deal for me since I rarely shop there, it’s too overwhelming) and bought a pair of white jeans (for way too much, seriously Goodwill? $8 for jeans!?) to dye some cool color. For the dye I bought a few packets of iDye which, in my limited experience, is the best dye ever if you want a solid color effect and have a front loading washing machine. Seriously, this stuff is awesome. All I had to do was pop the disposable dye packet in the wash with the jeans. I turned on a hot water cycle and put in a cup of dissolved salt in the detergent slot. When I came back about an hour later I had nice purply-blue jeans. If you’re wondering if there is dye left in the machine afterwards – there isn’t. I even washed a load of towels right afterward with no purple marks on any of the towels. The next day I washed the newly dyed jeans again along with some random other clothes and one of those Shout Color Catcher sheets. I’m not sure how well those sheets work or if they’re just a trick to make people buy more random junk but no dye spread to the other clothes. The sheet did turn a light purple, though, so it looks like some dye did wash out, which is expected. My jeans are 99% cotton and 1% spandex. I wouldn’t recommend dying jeans that are any more than 3% synthetic. My iDye was for natural fibers but they have a product for poly, too, but I haven’t tried it. One downside to iDye is that the colors on the packaging are confusing. I bought Purple and Lilac. Now, you’d think Lilac would be a light purple color but on the package it looks almost black. It helped to reference their website where they have a list of all the colors. Still, every fabric reacts differently (as you can tell from my first iDye experiment). I ended up going for Lilac. The resulting color is a kind of purple-ish blue, like periwinkle. When it first came out of the wash it looked almost cobalt blue. Whatever you call the color I’m happy with the result. You’ll notice that the stitching didn’t dye. That’s because it is polyester thread. If you’re concerned about the thread being too noticeable I’d suggest dying white jeans a milder color like a pastel. Ok, so now they are dyed but they’re still too long for my legs and they’re boot cut, and I’d prefer skinny, so it’s time for sewing! Turn your new jeans inside out and lay them face up and flat on a table. Take a pair of skinny jeans you already own and turn them inside out. These will be your template. The inner seam on jeans is usually flat felled so it is easier to stitch up the outer seam because there’s no top stitching. Pull that outer seam flat. The back leg is wider than your front leg so just pull the excess back leg fabric away from the outside seam. Do the same for the skinny jean leg and layer it over the new jeans leg. Match up the jeans at the crotch seam and down along the inner seam line. Take pins or chalk and mark the seam line of the skinny jeans on your new jeans. This is your new stitching line. Sew up the sides and try on the jeans. You may need to adjust the legs some more (I had to sew closer in at the knees). 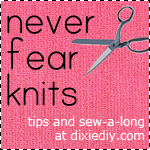 Once you are satisfied you can trim off the excess and finish your seam. I re-stitched over the edge with my serger. After that you can hem your jeans if necessary. Press your new seam and you’re done! Now I have brand new colored skinny jeans!